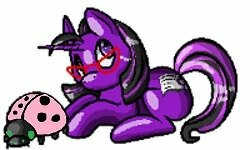 I am waiting on some ponies and going to the store for others and extras today. So excited!!! just shipped mine right before the holiday rush! Mine will be finished this weekend and going out on Tuesday. Stupid flu. 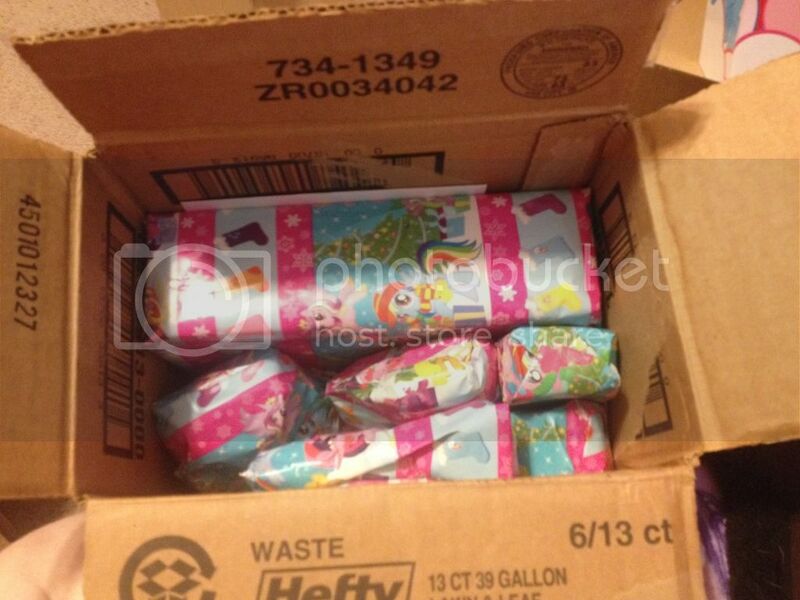 I wish I took a picture of the package I sent off I used cute mlp wrapping paper! I never can find mlp wrapping paper up here so I just use what I can find. I found some last year but I only use it once in a while. Big Lots usually has it, but I don't know if you have that store. I bet TRU would have it also. The nearest TRU is kinda far away from me by walking distance. The last time I went there we got caught in a bad summer storm. Me and my family got very went and soaked by the time we ran into the store .We were making water tracks all over that place. I liked the place but they didnt have the ponies I was looking for last time I was there sigh. I received my box and I will try to get my teaser up in the next couple of days. 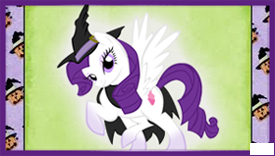 wow so cool congrats tula cant wait to see the ponies. Okay I have started a brag thread and posted my brag. Go see my loot. I got my box today and I just love it! I will try to have some pics up by tomorrow and reveal who my amazing partner was! I am shipping my box out tomorrow. I am sorry in advance for all the tape involved but I love tape and I am OCD about it. Did everyone get their box?